The Opposite of Method Acting? Posted on June 2, 2017 at 12:00 pm. There is no doubt that method acting is a highly effective series of techniques for anyone aspiring to the highest levels of acting. However, there are many in the acting profession who prefer a different approach – what might be broadly referred to as the opposite of method acting. So what are the alternative acting styles commonly used throughout the industry, and how do they differ to the Method? Acting styles which often position themselves as opposite to method acting are often based on quite different philosophies, meaning they offer real a contrast both in technique and results. Although most top actors now use at least some elements of the Method in their acting, there are still some very well-known actors who have achieved success with different types of acting. To help you decide which acting style is most suitable for you, we’ve broken down some of the key ways in which these other approaches differ from method acting. At the most fundamental level, method acting is all about truth. We use various techniques to produce real emotions during our performances, resulting in acting that feels completely authentic to an audience because it is authentic. The most significant of these techniques is affective memory – using our real life experiences as a source to call up the emotions associated with those experiences. Some prominent acting teachers, such as Stella Adler, felt that this level of authenticity was unnecessary, however. Their approach was to encourage actors to use their imagination, rather than relying on real experiences. So, if an actor needs to appear sad, they would imagine feeling sad so that they can then produce an effective performance. There have certainly been some very successful and respected actors who have used the imaginative techniques popularised by Adler and others. Marlon Brando, Cybill Shepherd and Harvey Keitel were all at one time students of Adler’s approach to acting. However, it’s important to put this imaginative approach into context. After all, where does imagination come from? Creativity doesn’t happen in a vacuum, which means that if an actor tries to imagine feeling sad, they must be using something to fuel their imagination. What is that fuel? That’s right, their experiences. Although “imaginative” actors may be pulling from multiple sources to build a sort of composite emotional output, it is likely that one or two particularly strong emotions are dominating this procedure, especially if it is resulting in a really strong performance. So although relying on imagination rather than real experiences may be in some ways the opposite of method acting, ultimately any really exceptional performance is likely to be coming from a fundamentally similar source. Method acting revolves around a number of conscious processes that actors can use to build a performance. The advantages of this should be obvious – for anyone wanting to act professionally, having a deliberate, repeatable process to produce a strong performance is essential. After all, nobody would want to employ a plumber who can do a great job sometimes, when they’re feeling inspired, but is useless the rest of the time. Acting is no different – you have to be able to deliver the goods on demand, every time. However, some actors prefer to take a more instinctive approach to acting. The Meisner Technique teaches actors to stop thinking consciously about what they are doing so they can react instinctively to what is going on around them in a scene. This can produce very naturalistic and convincing performances when used by experienced actors and is popular with the likes of Jeff Bridges, Diane Keaton and Jeff Goldblum. One problem with this kind of instinctive acting is that it does usually take a long time to get the hang of and often requires a lot of rehearsal to build a strong, cohesive performance. It also works best when used alongside other highly skilled actors, as it requires the practitioner to totally buy into the reality of the people they are working with. Because the process is so externalised, it is easy for instinctive actors to be thrown off by a bad actor or issues with the set or other external problems. By contrast, because method acting revolves around actors building up a coherent internal realism for their character, their ability to perform is much less reliant on what is going on around them. 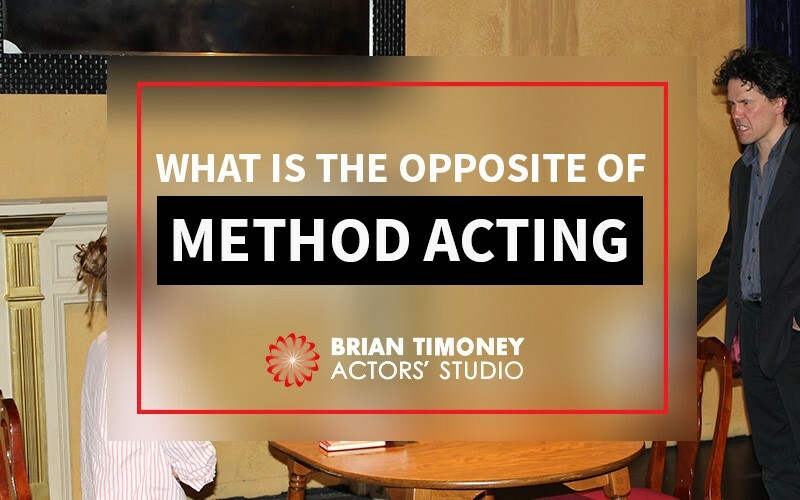 If you mention “method acting” to a lot of people, they will likely start talking about various wild stories they have heard about actors pulling out their teeth or making themselves ill in a desperate attempt to be “authentic”. This is not what method acting is. Method acting is about taking the experiences you already have and relating them to your character’s experiences. So, if your character has been stuck on a desert island for ten years, you don’t need to abandon civilisation. Instead, you think about times you have felt lonely and isolated in your own life and how that made you feel, then use those experiences to inform your performance. Going out and trying to experience exactly what your character is going through is often not practical and can be unsafe, but it is also ultimately unnecessary. While some research may be helpful, for most actors it is not realistic to take time out to go and live as your character. This is why method acting is so useful. A properly trained method actor can achieve a complete sense of realism in any situation using just their training and what they have already experienced. What he meant by this is that great acting is always rooted in emotional truth as we all instinctively know when someone is faking it. Whether an actor is consciously going through a process of recalling specific experiences to summon up a real emotion or not if they are managing to produce an emotional performance that resonates with an audience they must be pulling on their own memories. After all, how could you convincingly “fake” an emotion you have never really felt? Whether these actors would call this method acting or not, that is ultimately what they are doing. This is what we mean by “secret method actors” – people who are unconsciously using method acting techniques without realising that is what they are doing. Given the wrong impression many have of method acting, it is perhaps not surprising that some actors make this mistake. However, by studying method acting and understanding the processes it involves, even those who are already unknowingly using method acting can learn to harness these techniques more effectively for even better results. Although there will always be some who prefer the opposite of method acting, experience has shown us over and over that the Method is the most effective technique for professional actors. So if like 80% of Oscar-winning actors this century, you think the Method could work for you, we can help. Our courses not only give you a thorough understanding of all aspects of method acting techniques, we also cover the business of acting. That means we show you how to take your newfound skills to the market and start getting paid acting work. 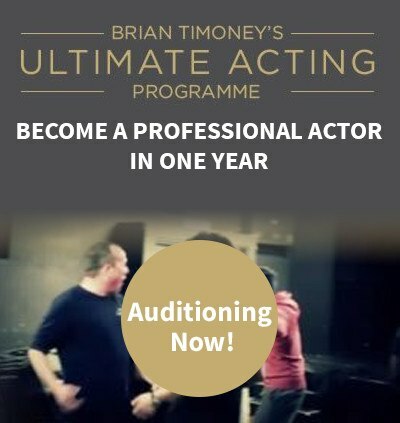 This is why our courses are so popular with aspiring professional actors – because we show you not just how to act, but how to use your acting to build a sustainable career.